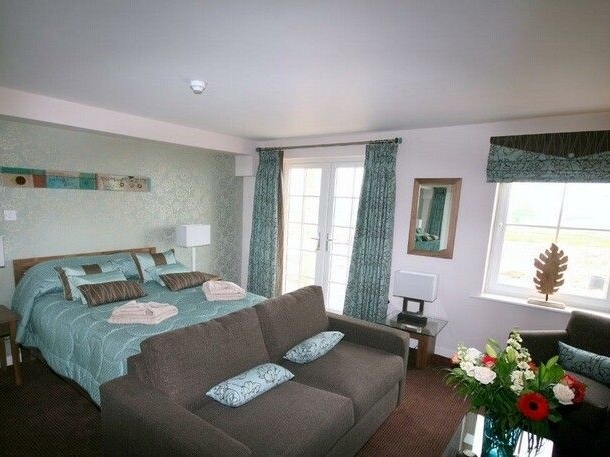 The Ullswater Suite apartments at Whitbarrow Holiday Village are high-end boutique hotel style suites that offer luxury accommodation and access to leisure facilities including an indoor heated pool and Jacuzzi. 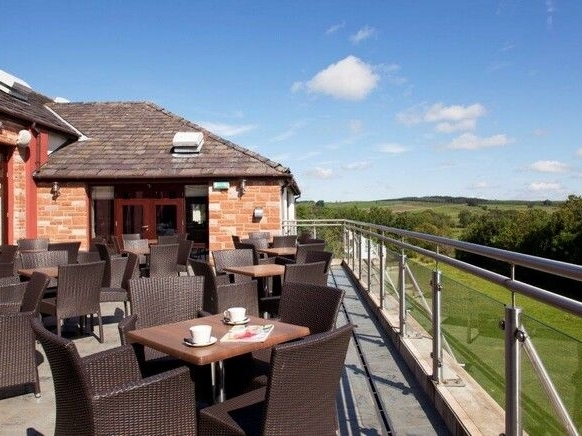 Ideal for a pampering break or a romantic getaway, each apartment has open plan living, sleeping and dining facilities plus access to a private terrace with views over the park to the beautiful open countryside beyond. There's an on-site spa offering holistic treatments, and a bar and restaurant. Vibrant Penrith is just 10 minutes drive and Lake Ullswater is 15 minutes away, giving you access to all the must-see sites of the glorious Lake District. A continental breakfast is provided for each night of your stay, making the Ullswater Suite the perfect place for some quality relaxation at any time of year. Central heating. Electric hob, fridge/freezer, microwave, dishwasher, laundry room on-site, flat screen LCD TV, DVD player, BOSE music system, WiFi available at the bar. Gas and electricity included, bed linen and towels provided. Continental breakfast included. Private terrace with garden furniture. Off road parking. Complimentary use of the leisure facilities. Bar and restaurant on-site. Sorry, no pets and no smoking. Lake Ullswater 15 minutes drive.